The Olaroz-Cauchari basin remains the global center for lithium production and exploration activity. Exploration capital continues to be spent to further define the basin; a major Asian automotive company makes a sizable investment to increase output. A major Asian battery and material manufacturer is backing the construction of another facility in the region. Insight into the regions developments and the companies behind the projects. A growing list of automakers committing to release electric and hybrid plug-in vehicles has spurred activity throughout the lithium supply chain. The vast majority of the economic activity and investment has taken place in the battery and lithium chemical components of the industry. The increase in existing and projected global electric vehicle sales and stationary energy storage systems is contingent on the availability of high quality and bankable lithium batteries. This has triggered a wave of investment into the lithium exploration markets and is encouraging current producers to invest in the expansion of their facilities. For Asian automakers, technology developers, and battery manufacturers, securing a stable and meaningful supply of the white chemical has become a top priority. Strategic alliances, as well as joint ventures and acquisitions, continue to be established with lithium exploration and production companies. This is because the industry has moved upstream in an attempt to combat increasing prices and to lock up supply. Entering material off-take agreements and providing financial packages for late-stage lithium exploration and early-stage production companies has been a common trend in the business throughout 2017 and into 2018. In the past decade, there has been a series of economic activities between Asian companies and lithium exploration and production companies. These strategic moves have allowed battery and vehicle companies to alleviate the possibility of future lithium supply constraints that could have devastating consequences in a well-established and productive Asian automotive industry. Asian countries such as Korea and Japan are home to some of the largest consumer, battery, and automotive companies, including Sony Corp. (SNE), Panasonic (OTCPK:PCRFY), Samsung Electronics (OTC:SSNLF), LG Chem (OTCPK:LGCLF), and Toyota Motors (TM). However, all of these companies are entirely dependent on the import of strategic energy metals. In addition, these companies are now competing with the Chinese for supply, while the Europeans have yet to play an active role in the development of the industry. This is becoming increasingly evident as the industry witnesses an increase in economic activity, including South Korea’s POSCO, which recently signed a long-term supply agreement for lithium from Australia’s Pilbara. When I am speaking about the Olaroz-Cauchari Basin, as I often am, I simply refer to the region as the ‘Times Square’ of the lithium industry, because the Olaroz-Cauchari Basin is at the center of the action. With few other regions in the world housing such a large proven reserve of lithium, and with firm capital behind the projects, I clearly understand why investment continues to pour into companies operating in the region. Over the past 5 years, I have invested directly into Orocobre (OTCPK:OROCF) and have recently expanded my position to include shares in Advantage Lithium (OTCQX:AVLIF). 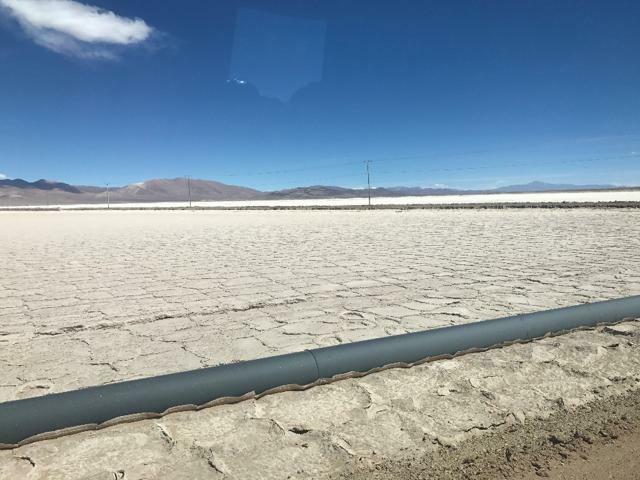 Lithium Americas (LAC), the other strong operator in the region, will begin delivering meaningful volumes of lithium products in 2020-2021. Despite having seen shares in Orocobre rise from C$2/share to C$7.50 share and Advantage rise from C$.60 to $1.40/share, I continue to hold my positions as the Olaroz-Cauchari story continues to unfold. It is my opinion that investors seeking to own individual stocks in the lithium production market should strongly consider investing in a diversified manner by owning shares in all three companies. Part of my investment thesis is to move with the major players such as Ganfeng, SQM (SQM), Lithium Americas, Advantage Lithium, Orocobre, and Toyota Tsusho (OTCPK:TYHOF), all of which are now heavily invested in the region. Presently, there are three active companies in the Olaroz-Cauchari Basin. These are Orocobre, Lithium Americas, and Advantage Lithium. Lithium brine extracted from the Basin has an excellent chemistry composition that has been proven to meet the technical requirements for lithium battery products. The large resource located at this basin will make it a critical long-term asset for the global lithium supply chain. This specific basin has attracted multiple large investments from a major Asian industrial trading house, Toyota Tsusho, and one of the world’s largest battery material companies, Ganfeng Lithium. Lithium Americas entered an off-take agreement to sell their portion of lithium production to Ganfeng Lithium, while SQM purchased a 50% share in the Cauchari. SQM is the largest producer of lithium chemicals in the world, with a primary focus on Chile and Australia. The investment at Cauchari is the company’s first leap into the Argentine chemicals market. 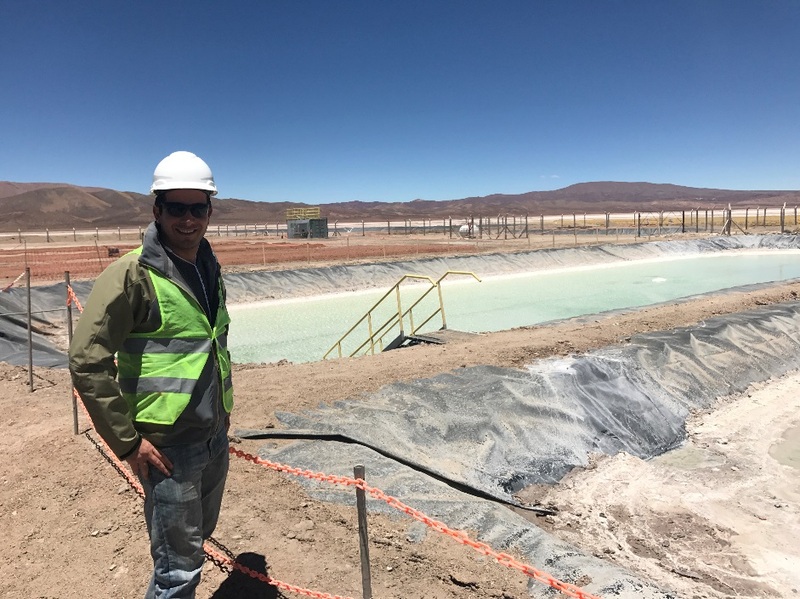 Lithium Americas openly welcomed the investment by SQM, as they bring a wealth of expertise to the brine. This will ensure the arrangement of the technical expertise of building and operating a lithium brine asset. In 2017, Orocobre farmed out its exploration efforts to Advantage Lithium, the Canadian junior exploration company. The two companies reached an agreement under which Orocobre would sell a non-core land package to Advantage in exchange for a 30% ownership stake in Advantage and 25% ownership in the Cauchari flagship project. Since the closing of the transaction last year, there has been a considerable build-up in the region as this joint venture quickly moves to define its resource asset in the basin. Orocobre is known as the only lithium exploration company to bring a Greenfield lithium brine project to market in over 20 years. The capital cost of the company’s flagship project was in excess of $230 million. The initial nameplate capacity of the chemical plant was 17,500 T of lithium carbonate. In 2012, Toyota Tsusho Corporation entered a definitive shareholders agreement with Orocobre on the Olaroz Project, which gave Toyota Tsusho a 25% interest in the project. Toyota Tsusho, which is one of Japan's leading global trading houses, is 22% owned by Toyota Motor Corporation (TM) and 11% owned by Toyota Industries (OTCPK:TYIDY). Toyota Tsusho brought financial backing that assisted greatly in financing the project. Toyota Tsusho also played a critical role in marketing the lithium carbonate produced at Olaroz. During FY2017, the companies’ first full year of production, total output amounted to approximately 11,500 T LCE, around 6,000 T less than nameplate capacity. With the Olaroz facility now moving quickly towards nameplate capacity, Orocobre and Toyota Tsusho have increased their investment in the Olaroz Basin through an expansion effort at Olaroz. In January 2018, the companies announced that the approval of an expansion plan that will see the nameplate capacity move from 17,500 T LCE to 42,500 T LCE per year. The Stage 2 expansion plan is expected to reach a final investment decision in the first six months of 2018. Project permits have already been pulled and the joint venture is waiting on financing and engineering details. As part of the financial strategy around the Stage 2 expansion plan, Toyota Tsusho invested nearly A$300 million into Orocobre in exchange for a 15% equity stake in the company. Toyota Tsusho has also been appointed as the exclusive sales agent for Phase 2 production. This will allow the company to secure a meaningful, long term, stable supply of the lithium materials. Further, I expect the joint venture between Orocobre and Toyota Tsusho to announce details concerning the financial decision for a 10,000 T/year lithium hydroxide plant located in Japan. Based on these several developments, the annual product mix of lithium carbonate would be 17,500 T battery grade from its existing operations and 17,500 T of industrial grade, of which 9,000 T can be allocated to supply the upcoming hydroxide plant in Japan. An additional 6,000 T of material may be allocated based on market demands. In Q1 2017, Advantage Lithium and Orocobre reached a strategic agreement to ensure that additional exploration capital would be injected into the Cauchari Basin. Orocobre agreed to sell a non-core lithium brine land package to Advantage in exchange for over 46 million shares in the latter company, placing Orocobre as the single largest shareholder of Advantage Lithium. Orocobre will also retain a 25% interest in the Cauchari project. The deal provides Advantage with an impressive land package consisting of six different projects, including Antofalla, Incahuasi, Guayatayoc, and Salinas Grandes, all located in Argentina. Today, Orocobre's position in Advantage is valued at greater than $60 million, plus a 25% ownership position in the Cauchari project (see Livio Filice, Seeking Alpha, ‘Orocobre Strengthens Balance Sheet’). Following the finalization of the land package transaction, Advantage closed a $20 million equity financing agreement that has since been used to confirm historical work; to expand the deposit at the Southeast portion of the property; and to define a new resource asset on the Northwest portion of the property that was previously unexplored. Today, Advantage is entirely focused on the Cauchari project with a current cash position of over US$10 million in the bank, while 40% of the 135 million shares outstanding are locked up between Orocobre, management, directors, and insiders. On a fully diluted basis, Orocobre holds 29% of the company with management at 25%. Orocobre has also been able to attract large investors, including CIBC, which is ranked as their largest institutional investor. Since September 2017, the joint venture between Orocobre and Advantage Lithium has been producing monthly drill results on both properties in order to meet both management and investor expectations. The Advantage Lithium management team has clearly stated on multiple occasions that the company is targeting a 2million T LCE resource asset. As I previously reported, I believe that this will translate into a target price of $2/share. Early in 2017, Lithium Americas, a lithium exploration company focused on its flagship lithium project located at the Cauchari lithium salar, was able to make significant headway towards production. After years of stalled activity due to an unfavorable Argentina political landscape, the company was finally successful in recruiting Chinese lithium giant Ganfeng as a project partner. Established in 2000, the Ganfeng group is the largest integrated lithium producer in China, with a total annual capacity of 30,000 T per annum of LCE. Ganfeng's products include lithium metal, lithium hydroxide, lithium carbonate, lithium fluoride, and lithium chloride. The deal between Lithium Americas and Ganfeng has been structured with three core components, as follows. Through a private placement, Ganfeng agreed to acquire 75 million common shares at $.85/share for total gross proceeds of $64 million. This represents a 19.9% of the company’s issued and outstanding share structure. 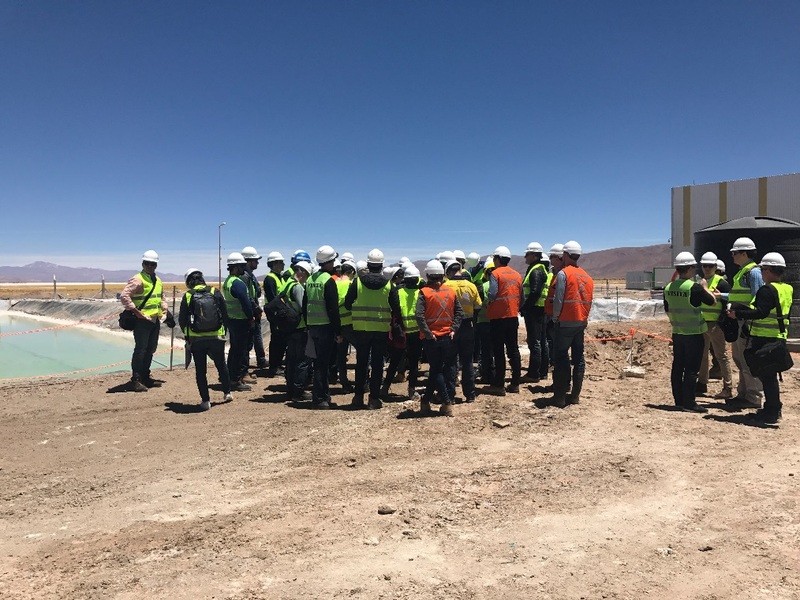 Through a project debt facility Ganfeng provided a total of $125 million which is being used to fund Lithium America’s share of the construction costs. An off-take arrangement was entered that would allow up to 70% of Lithium Americas’ share of production from Stage 1 to be purchased by Ganfeng at market prices. SQM, as a top global lithium producer operating in Chile, jumped into the Argentina market in 2016 through the acquisition of 50% of the Lithium Americas project. SQM purchased the stake in Minera Exar SA, the local operating business of Lithium Americas, for a net cash consideration of $25 million. Since the transaction close, the companies have moved forward to update a definitive feasibility study with the objective of outlining a plan for 40,000t LCE per year. Cauchari-Olaroz is projected to be the world's 3rd largest lithium brine resource with permits for construction and development in hand. Construction of the processing facility is now reported to be underway, as new photos of the development are released through the company’s social media channels. Collectively, the region has successfully drawn well over $1 billion in investments from the world's largest lithium producer and multiple strong and important end users, including one of the largest battery material producers and the largest global automotive manufacturer. The recent sell-off of lithium production and exploration firms has created an opportunity for both short-term and long-term investors to open or increase positions in the Cauchari-Olaroz basin. Orocobre is now funded to move forward to increase lithium production over the next year while building out their lithium hydroxide facility in Japan; Lithium Americas is marching down the path to production which should see lithium products produced in the next years; and Advantage Lithium who is backed by Orocobre offers a ground floor opportunity to invest in one of the few companies that is well positioned to continue developing another world-class lithium asset offering potentially significant upside. On March 26, 2018, shares in Advantage Lithium were rated as "Outperform" by National Bank of Canada with a 12-month price target of C$1.90/share. Investors who are looking for exposure to the region should certainly consider entering now that shares have pulled back. Author's note: If you enjoyed this article, then be sure to receive future material by clicking on the "Follow" tab at the top of this page or on my profile. Disclosure: I am/we are long OROCF, AVLIF. I wrote this article myself, and it expresses my own opinions. I am not receiving compensation for it (other than from Seeking Alpha). I have no business relationship with any company whose stock is mentioned in this article.